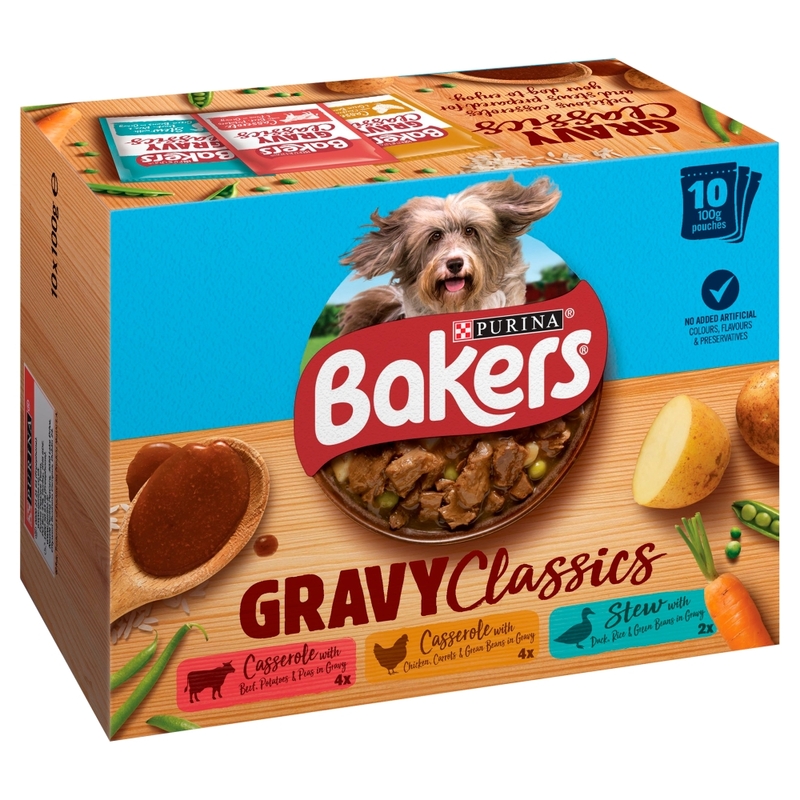 Bakers Home Classics Lamb, Turkey & Salmon Adult Dog Pouches are a mixture of exciting and delicious casseroles and stews prepared for your dog to tuck into. What's more, it's 100% complete and balanced! 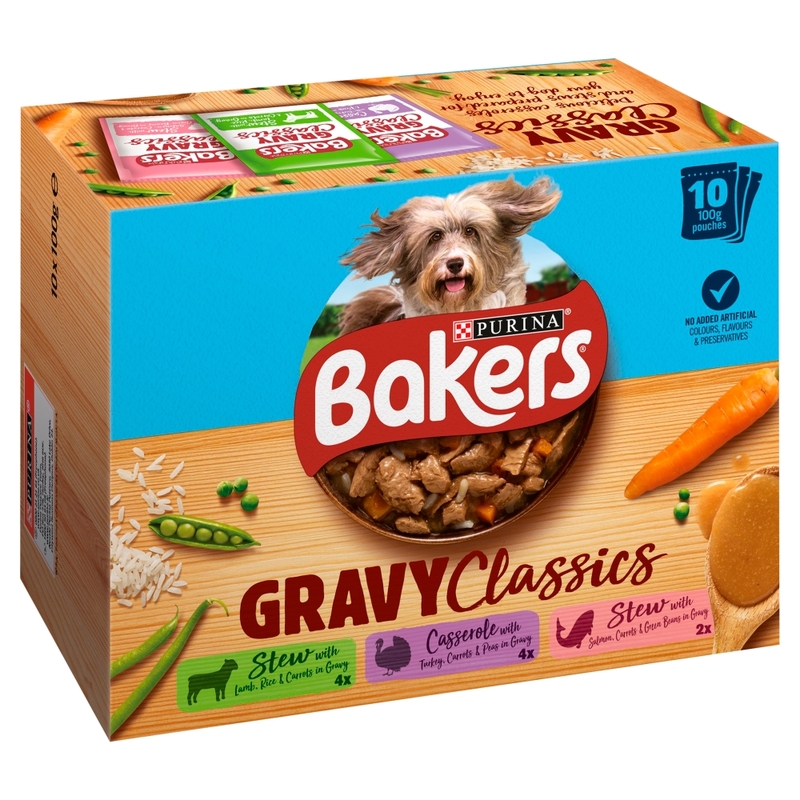 Bakers Home Classics Lamb, Turkey & Salmon Adult Dog Pouches contains succulent meaty chunks with country vegetables & tasty gravy to provide the great taste & texture that dogs just can't resist. 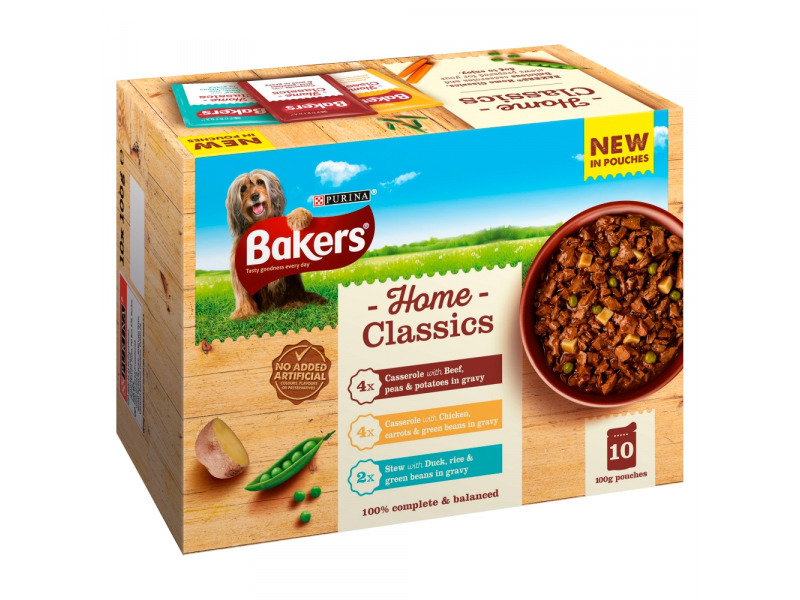 Packed full of high quality nutritious ingredients, and without any added artificial colours, flavours or preservative, they contain all the vitamins & minerals your dog needs to help stay happy & healthy every day. 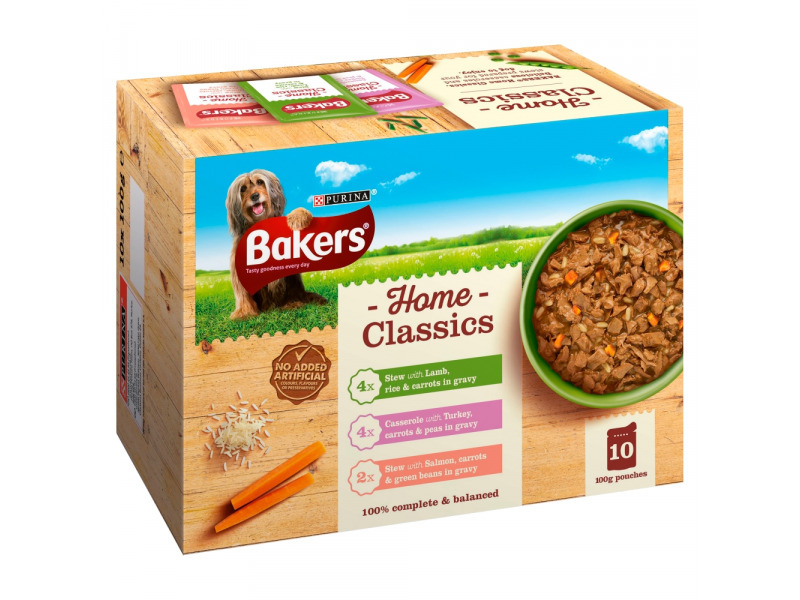 There are currently no questions for Bakers Home Classics - be the first to ask one!